A friend had been reciting bits of lyrics from songs on Adele's album, 19. I was thinking about the lyrics from Hometown Glory, and it occurred to me that over the past couple months, I've slowly built up a small collection of photos from San Francisco. Since I rarely walk around in the city, most of these are either the product of boredom or of seeing something neat while hanging out with friends. 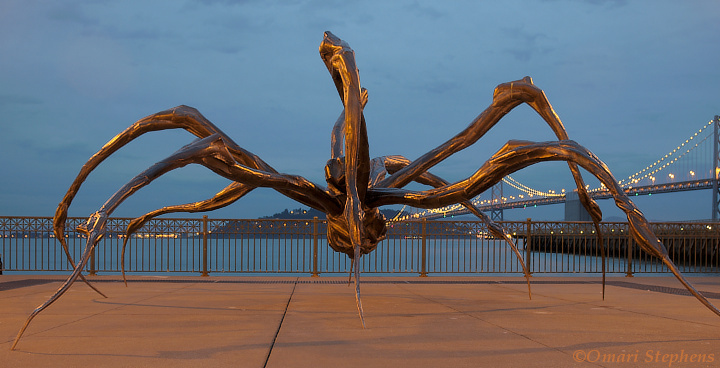 Without further ado, the above sculpture, entitled "Crouching Spider," lived next to Pier 14 until April of this year. I was riding around, passing time one evening in early March when I saw it and stopped to take some photos. It's actually a bronze sculpture, but the orange color from the street lamps adds a nice shimmer. 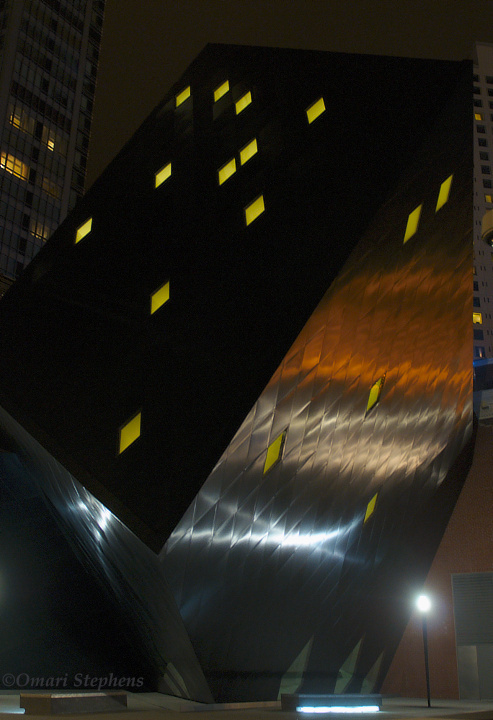 The SF Arts Commission announced its removal in a press release in mid-April. 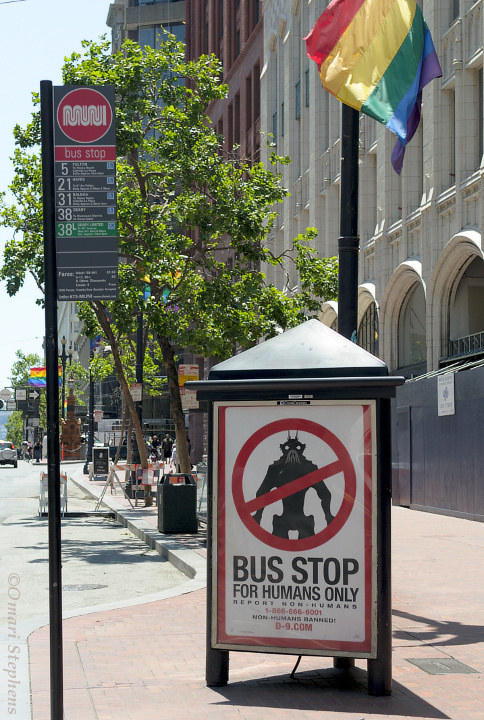 I was riding around Market street this past weekend, trying to meet up with a friend, when I spotted this poster next to a Muni stop. At first I thought it was a hack of some sort, but after visiting the website, www.d-9.com, it's clearly just a really cool promo poster for an upcoming movie. The phone number (1-866-666-6001) is a hotline pulled from the movie into real — it allows callers to report unauthorized non-humans, among other things. 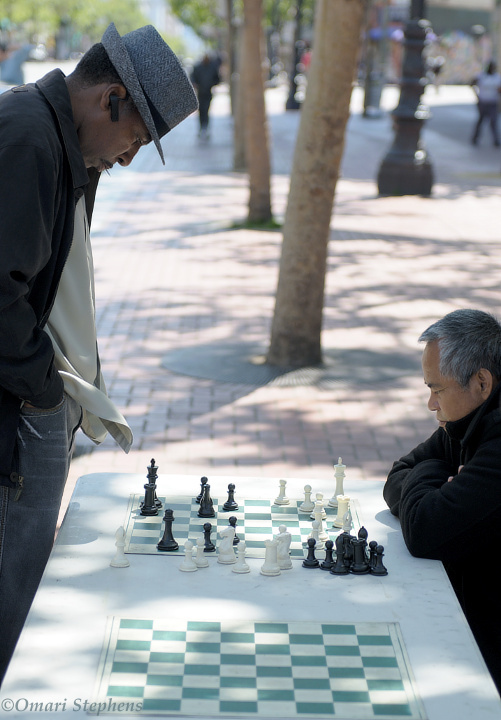 After finding my friend last weekend, we walked around and were heading down Market (toward Embarcadero) when we spotted a group of people playing chess. Some years ago, I had gotten a nice photo of chess-players in New York City, so we stopped and I managed to get this. I really like hats, and I think there's a nice juxtaposition between the two players here. I just thought this was hilarious. 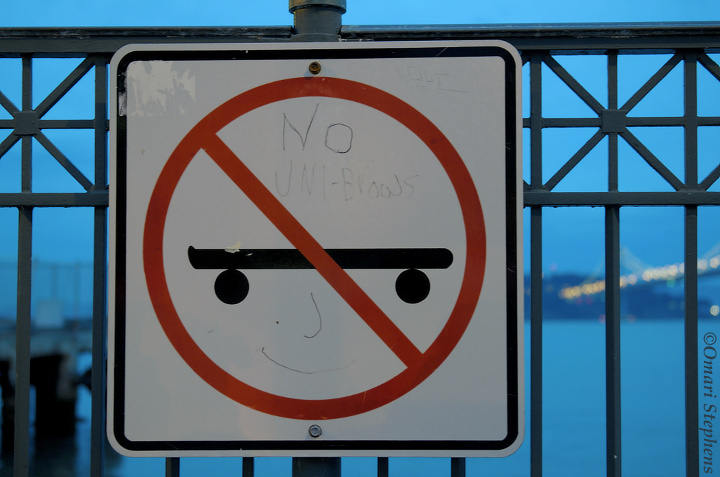 The skateboard works surprisingly well as a pair of eyes with a unibrow. I'm not entirely sure what this is, but I believe it's attached to a museum of some sort. 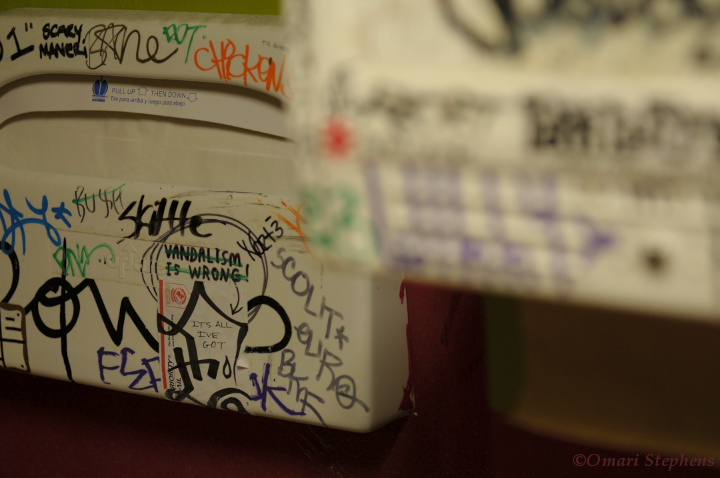 I shot this the same night as "Crouching Spider," but later and after I had met up with some friends. We were walking around until it was time for me to head to Caltrain, and I remember really liking the colors on this building. The surface is actually made of a bunch of light-blue brushed aluminum tiles. I really like the yellow windows, and how the building is lit on the undersides but dark above. "We are wanderers, accustomed to walking alone, but every now and then we get lucky and find kindred spirits. Other peppercorns in a sea of salt. Other souls searching for beauty in the same places. The last one is the new Comtemporary Jewish Museum.